The first and foremost thing that might interest the most of netizens is your story. So tell our netizens about yourself, your story? Where do I start and what do I say? Do I get into the deep dark wicked ways of mankind and how much lying, cheating, bribery and corruption there is going on in this world and people conniving ways? Or do I make it a diplomatically simple and naive life of a hermit scientist (engineer!). I wish I had a “normal” benign life but that is impossible when Greed is Good and people lust for money and worship billionaires as their gods. I welcome you Fahad at SANGKRIT.net, please tell our netizens about yourself, your story. Hi, I am Fahad Mahmood (A WordPress Mechanic) the developer of a few famous WordPress Plugins like Keep Backup Daily, Alphabetic Pagination, jQuery Post Splitter, RSS Feed Widget and a recently launched WordPress Plugin WP Header Images. My journey started from a HTML tag <marquee></marquee> which I learned very first even before <html> and <body>. It was really inspiring for me when text was moving from right to left. As notepad was available everywhere so i did a number of experiments in my college’s computer lab during my ICS session 2001. My interest became a passion when I learned about click event of a button in visual basic 6.0. It was purely a magic when I played with it and successfully changed document title, button text, label captions and text in textboxes. I am Edison Nica, a software engineer with over a decade of experience in Software Industry, most of that time at Microsoft and Google. I quit Google to build a business model around true privacy, because without a sustainable business model, privacy can’t survive. 4 moths ago, I put myself in the public service, with the goal to help people have more privacy online. Tell us more about 0PII, LLC? Its brief history ? Lots of efforts started last year around improving user’s online privacy, most around encryption. We want to contribute too. Our approach is that instead of fighting the Advertisement industry, we want to co-opt it. I don’t believe we can have more privacy as long as every business in the world stands to lose from better privacy. So how exactly your idea sparked? The two key principles are that “one can’t take away something I don’t have” and “privacy must be backed by a business model”. For us, privacy means that only the user has his/her data – that 0PII stands for, Zero Personally Identifiable Information. So the user data resides safely on the end user’s own device and is not stored in the cloud or by the Advertisers. If we want to protect user’s data, then we need to make sure it can’t be uploaded. But we live in a connected world, and many applications really need internet access, so for applications that need access to internet, we then need transparent data flow and user control over it. We must know What, Why, How and When an app accesses the internet. And lately, if we want to build a sustainable ecosystem, we must get Advertisers and Publishers on board. How it will improve internet life? The products we build do not require the user to surrender privacy for convenience, free products or free services. You will be able to download a free game, that does not require network access, and still that game will be able to make money from advertisement. Does it already exist anywhere else? What makes it different from all other frameworks out there? We are not aware of any other company that does something similar. Current Internet Giants have monopoly over your data. Your data stays in their servers and it is used to track your behaviour, extract knowledge and improve their services. Unfortunately this keeps the little guy out of the loop. Current small business can’t flourish when Big Players have monopoly over data. Our solution breaks up this monopoly and lets you, the user, have your data, while we build services around decentralized user data. And without a monopoly over your data, and with true privacy, even small business will be able to offer you quality services. What philosophy drives you doing this? People have asked for more privacy, but in the same time they want convenience and free products. We bridge the gap between convenience and privacy. Also, this is the right thing to do. What keeps your endeavours unique? We bring the Advertiser, Publisher and the User together, to show them that we can live in a harmonious world where Users get convenience and privacy, Advertisers can find the right users for their services, and Publisher can make money while protecting user’s privacy. How other netizens can help you in this regard? First, help us by contributing to our campaign on IndieGoGo: https://www.indiegogo.com/projects/a-privacy-aware-mobile-advertisement-platform/x/6801145 we can’t understate how important is to have financial freedom. We need money to develop our product as soon as possible. Second, tell your friends, Share on Facebook, Tweet about our campaign on IndieGoGo! Our most important plan is to launch our Mobile Advertisement Platform. Do you own a domain? Where netizens can grab latest news feed about your projects? What is your ultimate message for netizens? Help me so I can help you! I welcome you Matt at SANGKRIT.net, please tell our netizens about yourself. I grew up up in the US, and as a child was passionate about Korean Tae Kwon Do, where I started teaching all ages as a 9 year old in 1978. I’m now an Industrial/Organizational Psychologist (Ph.D.), and have worked in dozens of countries around the world for firms like AT&T, Motorola, and Merck. For the last 4.5 years, I ran the Infosys Leadership Institute working for the founders of India’s most famous company. My new firm, LeaderAmp, helps leaders accelerate their careers every day through our smartphone app and community based on the latest science. It’s the culmination of all my prior work, and hope it makes gold nuggets that are usually only available to the elite leaders in large multinationals, more accessable. Tell us more about LeaderAmp? Its brief history and how it works? LeaderAmp came about after working with thousands of leaders at Infosys where we treated them like Olympic Gold medalists. We measured, challenged, and supported each one to help them achieve their career dreams. But it took highly skilled (and scarce) coaches to tailor a bundle of leadership vitamins, minerals and exercise regimens to support their growth. And coaches could only spend a few hours a quarter with each leader, so leaders would sometimes get distracted and forget to work on their own career development. When I moved back to the US, I spoke to younger leaders and found that they really didn’t have access to these advanced methods that people at the top of a large multinational get. So I decided to invent a new, engineering worthy approach to measuring, challenging and supporting leaders, making it “come alive” for them every day on their smartphone. LeaderAmp’s app starts with you selecting your goals, and then our advanced measurement technology asks questions about your leadership to you and people you trust. While it’s waiting for others to give you feedback, it shows you early results and recommends a tailored set of actions for you to grow. Uniquely, you can set your report to remind you every day with new actions you can take to accelerate your development. It also has a web/mobile based community that has webinars, tweetchats and community support where you can learn from people like you who grew to greatness. Lastly, it allows you to compare yourself with famous historical leaders. We’re still building it, and the early adopters on IndieGogo (http://igg.me/at/leaderamp) will be able to select the first famous historical leader that we’ll measure. So how did you come with its concept? How exactly your idea sparked? It was, in part, looking at the gaps in the current state-of-the-art of leader development; and the “Quantified Self” movement. Quantified Self is a term coined by the editors of Wired Magazine for the tools people are now using to measure and improve themselves. It includes fitness (e.g. fitbit), wellness (e.g. AliveCor), and now leadership development (e.g. LeaderAmp). How it will improve lives of users? Many leaders are frustrated with their careers and aren’t quite sure how they can get ahead. Our app will have trustworthy actions they can do to really improve their potential, performance and “promotability”. Unlike other approaches, we have made practical the 70+ years of science of leadership and persuasion in our app and community. Does it already exist anywhere else? If yes then what makes it different from all other frameworks out there? There are other apps out there and other approaches to leader development. None of them combine the measurement, challenge and support that LeaderAmp does. They also do not have the latest science for growth. LeaderAmp’s advanced content comes from my latest book, “Leading Value Creation: Organizational Science, Bioinspiration and the Cue See Model”, recently published by Palgrave Macmillan. How many people got associated for working together on this project? I’m the founder, and we have an extended team of about 11 people working on various components of the project such as the graphics, the code, or the science. What philosophy drives you doing this and what makes your endeavours unique ? We believe in the practical application of science to improve leaders. Just as people over the decades have been able to become better Olympic athletes through better diet, exercise and vitamins, leaders will be able to avoid their frustrations with their careers by developing every day. The fact that our app tailors new actions for the leader every day, and is rooted in science, makes our app unique. Further, it will only recommend actions and provide community support in areas relevant to the leader. Other solutions have a “one size fits all” for leaders, and cost hundreds or even thousands of dollars without much developmental support. In contrast, LeaderAmp’s entry-level solution is about the price of a book on IndieGogo. How other netizens can help you in this regard ? If there are people you know who are frustrated with their career and aren’t sure how they can get ahead, we would like to help them. We’re not a magic pill – it’s still up to the leader to work on himself/herself, but if they really want the secrets of what works, we want to help them. What are your future plans ? Are you working on some other projects also ? There are some very cool future features we’ll add to make this solution highly useful. All of our leader development solutions are being built around the app, community and latest science. We are completely focused on the launch of our new solution, and aren’t working on anything else. What is you web address? 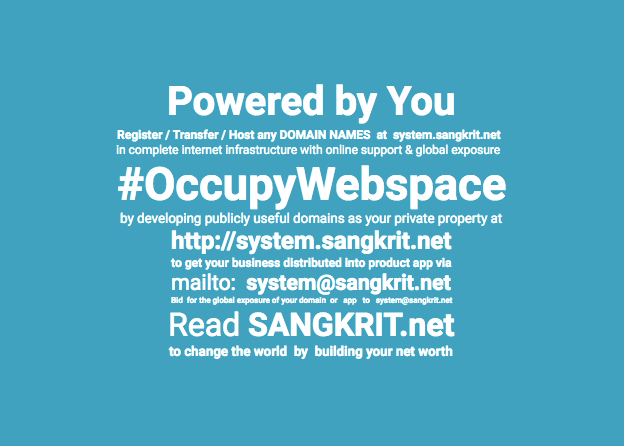 Do you own a domain? Where netizens can grab latest news feed about your projects? What are you doing with your growth that makes your success unstoppable? Thank you very much Matt for opting Internet as your place of doing business. I wish you success in upgrading humanity! I welcome you Subin at SANGKRIT.net, please tell our netizens about yourself. At what age what actually brought you up to programming and consequently programming WordPress? Why do you enjoy it? I started programming when I was 11 years old. I only got into WordPress in 2013 and I created and published my first plugin “Blogger 2 WordPress” in 2014. I enjoy programming, because it relaxes my mind. When I code, I enter into a new world. A world where I forget all my problems in life and focus on the task in hand. Coding makes errors and I try and try to find solutions to those errors. When I find the solution, it is stuck on my mind and I’ll never forget it. Programming is a lot like Maths. You won’t like it first, but when you get around it you will find it enjoyable. Tell us about the plugins and apps you have created so far? By far, I have created 2 WordPress Plugins – Blogger 2 WordPress & Code Blocks. Blogger 2 WordPress makes it easy to set redirections from old blogger posts to new WP posts (and pages) after you moved your blog to WP. I have created a lot of web apps. Some of them are online and some of them in localhost. My first online app was Subins which I made it online in 2012. It was just a test app of mine. Nothing serious. I didn’t know much about hacking & cracking when I created it. So, it was vulnerable to Cracking. Soon after 1 year, my friend (Facebook) cracked it. I deleted the data on Subins just a day after it was cracked. Now I’m working on my blog (subinsb.com) and an open source social network called Open (open.subinsb.com). I’m also working on a new project which I can’t say about it now. Suppose if you were reviewing any new plugin then what are the most important things you look for that indicate a well-designed program? Your website shows a project section with links to Open & Demos? Tell us about them? Open is an Open Source Social Network. Anyone can edit the source code of the site. There are no ads, no tracking stuff and anything else on Open. It’s clean, simple and have the ability to post to Facebook & Twitter at one place. Demos is the sub site of my blog. This site contains the demos of the tutorials, code or projects seen on the blog. You have no Advertisements on your blog? Do you have any plans to go pro in blogging and earn money? When I started blogging, all I could think about was money ! I placed ads at first. But when I went through the blogging, programming and contributing to Open Source Softwares, I understood that Ads are a distraction to the users. Ads make the site slow too. No one likes ads. So Why put it in a info blog ? Information should be passed free of charge. So, I removed the ads and put on the “Donate” button (subinsb.com/donate). If people really like my content, they will donate. Also, the revenue from ads are low. Google Adsense rejected my application when I had 2 $. That made me angry and it’s also a reason why I’m not putting ads anymore. How much time you spend working on your domain and writing programs? What philosophy drives you doing this? When I return home from school and after I finish all the home works and stuff, I turn on the computer and start coding. I make up ideas of posts and projects on the free periods of my school and write it down. Then I do it when I reach home. On holidays, I use the computer from morning to noon (about 2 PM) and from evening (6.30 PM) to night (11.30 or more if I got an error). WP plugins help users to do big tasks with just a plugin. Open Source minded programmers always help people. I’m an open source minded person. WP philosophy “Code Is Poetry” and StackOverflow (http://goo.gl/kCKBGs) helped me into doing this. How about your parents? Is either of them involved in programming fields? My parents are normal Kerala persons. My dad is the “Assistant Secretary” of Ayiloor Panchayat, Palakkad, Kerala and my mom is an house wife. She worked as a computer teacher before teaching Windows 98 and stuff. I’m sure that the coding & computer stuff came from my mom. My dad always supported in coding and always made me walk through the right path. He scolds me when I say “I hacked someone / website”. Hacking is wrong and he made me understand about it. What are you working on today? Any new plugin? I’m now working on a project like WordPress, but not entirely like it. I can’t say more about it now. When I release my new project, I will certainly invite you. I created about 5-6 plugins. 2 of them WP and others jQuery & PHP. It’s hard to maintain all of them. I’m very very busy in maintaining blog, plugins and school stuff. I will improve my existing plugins and when I get a new idea, I will make another plugin. Tell us something about your city and your favorite hangout spots there? I’m from Kerala , a state in India. I’m living in Kunnamkulam, a town (muncipality). Nothing big here. I don’t go out much. But my favourite places are the paddy fields and the streets where I could walk or ride a bicycle peacefully. Never stop working hard. If you work hard, you will certainly accomplish your task. Never copy content from others. Always make your own stuff. Don’t hack / harass any person on the Internet. Always be a good netizen and speak up when you find something illegal or bad behaviour. Never fear. There are millions of nice people in this world who can help you. Don’t hesitate to ask for answers on disucssion forums and Q & A sites (stackexchange.com). Stay safe and simple.